In the past few months I've seen quite a few NGO's enter Second Life, such as the Red Cross, Disabled Sports, Flying Doctors, the MacArthur Foundation , Dance 4 Life and a few others. This sudden onrush kept nagging me. When it comes to the Blogosphere there's two blogs that stick out when it comes to keeping track of these things: First of all there's Beth's Blog that has a keen eye on everything Non Profit and secondly the fabulous Ugotrade blog where Tara5 Oh (left) regularly posts real works of love and labour on Mixed Reality and with a good heart to the poor and needy of this world. This past week I got spammed by the ElfenCircle for a Relay For Life building entry and that nagged me again. After rereading some of the entries on both the aforementioned blogs I started thinking on this post. When Al 'superscooper' Kronos blogged Virtuool and The Fight Against Cancer I knew this was a post I had to make. It's actually a while since I've been giving NGO's much of a thought. We, the Dutch, have always been generous givers when it comes to relief aid and mission workers in Africa and Asia. In the past years this culture is slowly changing. It's not that people are getting greedy, but the way they want to spend their money has changed. In the 20th century it was a natural thing to pick 2 or 3 (or more) non profit organisations and sponsor them annually. Many organisations organised themselves accordingly: You knew how much sponsors you'd have, so you know what next years'budget will look like. The 21st century do-gooder has a different mindset though. No longer long-term commitments, long term sponsorship, but occasional, dedicated sponsorship, sort of hit-and-run style philantrophy. This is causing traditional NGO's a severe headache since they see shaky budgets and worry about keeping all their relief aid workers at work. This isn't about 'huge disasters' those are incendent based by definition and a TV rally for Live Aid (1985) is no different than the Tsunami Fundraising a few years back; on both occasions dedicated sponsorship without long term commitment. In short, generally speaking, NGO's need to find new ways of attracting long term sponsors: the 21st century calls for Fundraising 2.0. 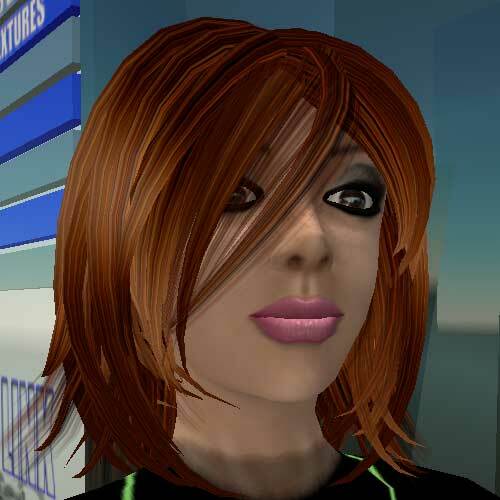 The question is: Is Second Life a good platform to expirment with. When it comes to actual fundraising, Second Life is surely a no-no. Tip jars containing L$ 1.600 dollars barely make up for a weeks rent. Virtual World Campaigns are not about raising enough money to fund a relief aid mission to Timbuktu. As I mentioned in my blogpost on the Red Cross entry at Second Life, depicting a disaster zone, one way is to create awareness, convey a mood or show people the challenges in such areas. This awareness is much more valuable than the lousy linden bucks it brings in tips. There is a thin line though; It is great to raise awareness but the cost is a consideration. The presence should be sponsored, not funded with sponsorship money. In search of awareness and commitment I think NGO's overstepped themselves a little. Virtual Worlds such as Second Life are to small to make a difference - yet. It's still a niche thing. I do not fully agree with your statement that for fundraising SL is not a good option. There are examples of succesfull fundraising activities with the American Cancer Society raising 75.000 USD in 6 months in SL with different activities like donation kiosks located everywhere, art auctions, concerts etc. I so agree that it is probably more a place to raise awareness and maybe even attract new volunteers and supporters than raising huge loads of cash, but its not impossible te be succesfull in that area too. I fully agree with your statement at the end of the article that the full web 2.0 possibilities should be used by nfp-organisations and charities to be succesful at fundraising. The 'causes' widget at facebook is succesful already and also widgets like chipin.com can be a great way of collecting donations. I wish it was easier to create your own widget for hyves at this moment. 2. Raising funds. I don't think it's a way to raise a lot, quickly. However, employing principles of The Long Tail, it can (I assume) work effectively to raise money over a long period. Having said this, I am not sure that most NFP/NGO efforts are not preaching to the converted. In general, SL is a largely reactive medium, not proactive. What do I mean by that? It is up to you to seek places out and visit them - the message is relatively hard to push in SL (aside from billboards and tipjars). To do this, you are probably already converted. Incidentally, as an old curmudgeon and misanthrope, the prospect of being bombarded for money (or even worse, my time) by vast legions of NGOs/NFPs in a Web2.0 world frankly appalls me. Can I consolidate all these into a single, manageable bid for my cash? @Aleister: being bombarded by simple tipjars does frighten me too tbh. But initiatives like the one for AMREF Flying Doctors where they organised a small in-world game where you buy cheap paper planes to throw (L$1) or to fly in (L$5) is a creative solution to both engage ppl in a much more SL-way than to simply ask for their money. they are doing a rather good job and have raised, in SL terms, a rather reasonable amount of money.